>Cool idea – I may have to steal it! I have a big glass bowl that I tried to take water and flower pics with, and the reflections gave me fits too! Cool shot! >Beautiful! I love that idea. I love the first shot. Great color and decorations. >Oh wow…what a GREAT idea! Love how you put in the eggs and yet, kept it looking simple and elegant. I’m totally going to copy this idea my friend, thanks for the inspiration. I too like the reflection, makes a nice photo. 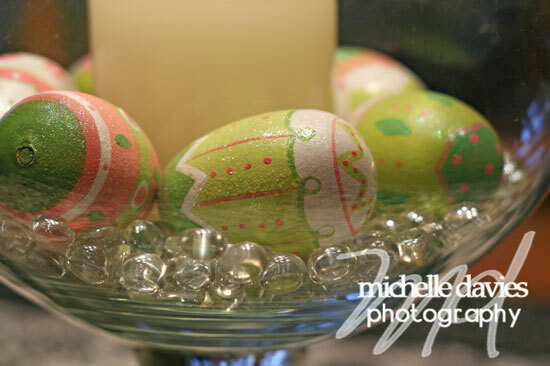 >Great idea and great shots, love the eggs, very pretty. >I love your eggs. I don’t mind the reflection at all…adds interest IMO. >very pretty little eggs. 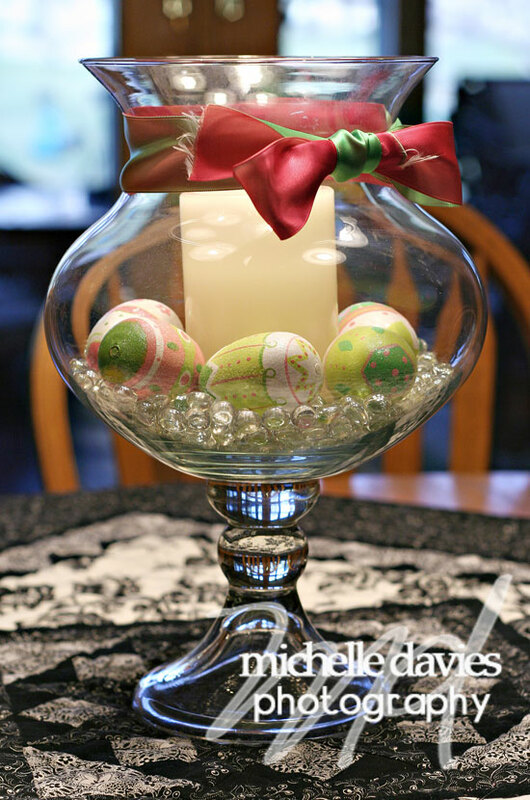 I’m putting my Easter decorations up tomorrow afternoon! Nice shot!